Perfect gift for new moms! This gorgeous bib was handmade using a Cotton giggling monkey print fabric,layered with brown minky. Top stitched and pearl snap closure for added durability. 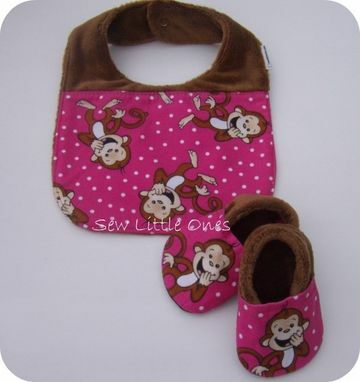 Bib measures 11" x 8.5"
Includes a soft-sole baby shoes with an elastic back for an extra added security. 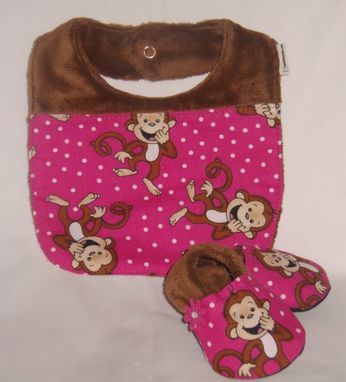 Lined with Minky to provide a soft and comfortable feel against baby soft skin. Machine wash cold with like colors and tumble dry low. 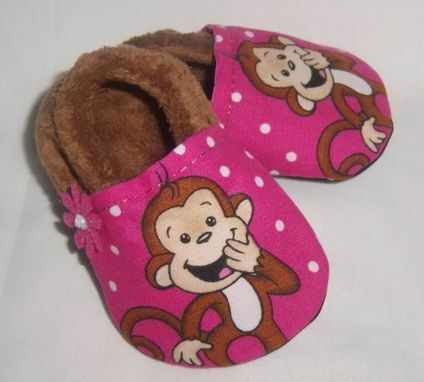 Baby shoes size 0-6 months.